The Louisiana Senate is considering a bill this week that would treat violence against police, firefighters, and emergency medical technicians as a hate crime. It’s been dubbed the “Blue Lives Matter” bill, and it is a civil rights nightmare waiting to happen. “Law enforcement officer” shall mean any active or retired city, parish, or state law enforcement officer, peace officer, sheriff, deputy sheriff, probation or parole officer, marshal, deputy, wildlife enforcement agent, state correctional officer, a commissioned agent of the Department of Public Safety and Corrections, and any federal law enforcement officer or employee whose permanent duties include making arrests, performing search and seizures, execution of criminal arrest warrants, execution of civil seizure warrants, any civil functions performed by sheriffs or deputy sheriffs, enforcement of penal or traffic laws, or the care, custody, control, or supervision of inmates. The bill is being sponsored by Rep. Lance Harris, a Republican from Alexandria, who says it’s necessary because of attacks on first responders and law enforcement officers. Harris specifically said the bill is in response to the shooting death of Darren Goforth, a sheriff’s deputy who was shot and killed at a gas station in Houston, Texas. The suspect, Shannon Miles, was accused in an indictment of retaliating against Goforth because he was a police officer. That’s a terrible crime, but it hardly points to a wave of attacks on cops; Harris was evidently unable to point to even a single one in his home state. And hate crime legislation was created because certain crimes—beating someone for being openly gay or wearing a turban, for example—are meant to strike fear in the heart of a community. Being a law enforcement officer is a job, not a fixed, immutable identity like race, gender or sexual orientation: the things at the center of actual hate crimes. 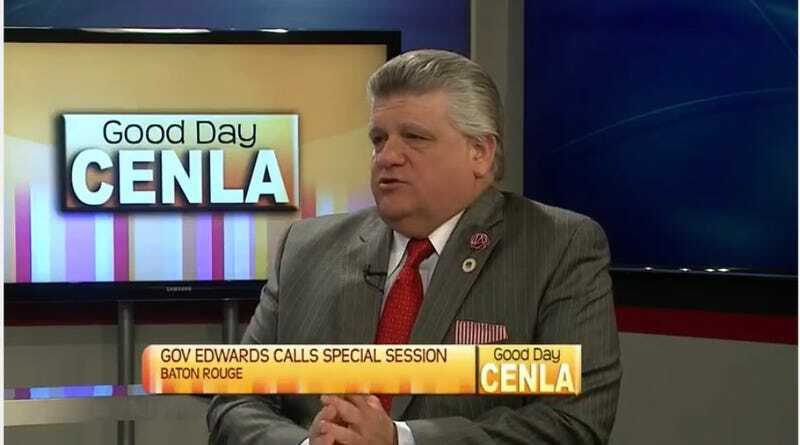 The bill easily passed the Senate Judiciary Committee Tuesday and is headed to the full Senate, and then, very likely, to Governor Bel Edwards’ desk to be signed into law.